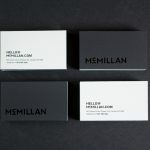 McMillan celebrated its 20th anniversary in early May, unveiling a new brand and cementing its decision to focus solely on global business-to-business (B2B) clients. 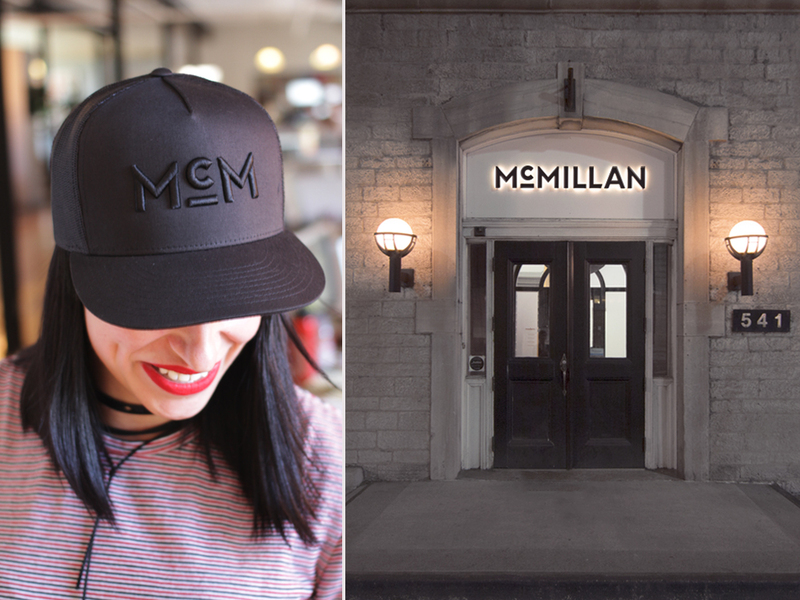 To learn more about the design aspects of McMillan’s rebrand, we picked the brain of art director Jennifer Van De Vooren. Designedge: Aside from marking the anniversary and the decision to focus on B2B work, was there anything else pushing the rebranding? Was there a problem with the old logo/look that you wanted to solve? Jennifer Van De Vooren: A lot has changed since McMillan was founded 20 years ago. 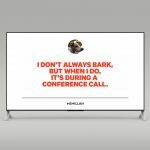 Digital has always been part of our DNA—Microsoft was one of our first clients, after all!—but when we started, cell phones were the size of breadloaves, and everyone could hum the shrieking dial-up tone of old-school Internet. We’ve evolved our skills alongside evolving tech, and so too much we evolve our brand. This is not just optional, it’s essential. When we [were] starting our rebrand, we thought of digital as a sort of playground where we could play and explore, allowing us to blur and expand the boundaries typically associated with building a brand. 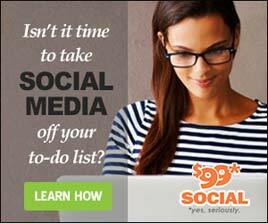 For example, our newsletter now features a subtle animated gif of our logo and features more embedded video elements. 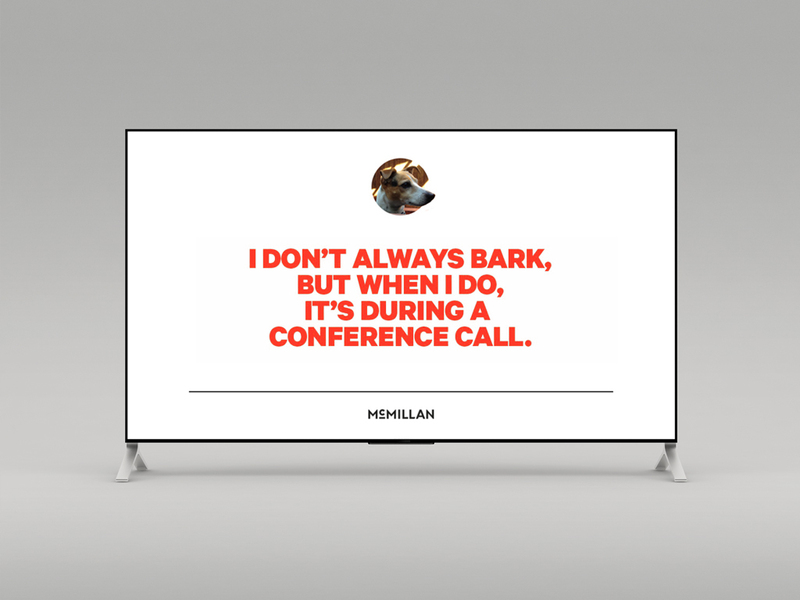 Our presentations and waiting room screens now lift the experience from being strictly instructional to being a touch playful. We’re also doing some amazing things with video in conjunction with our brand, such as exploring 360-degree video, experimenting with the use of 3d animation and virtual reality, and making new technologies like scalable vector graphic animations in brand communications a standard. To sum it up, we looked at all the ways we communicate digitally and thought about how we could push them creatively, and had a lot of fun in the process. 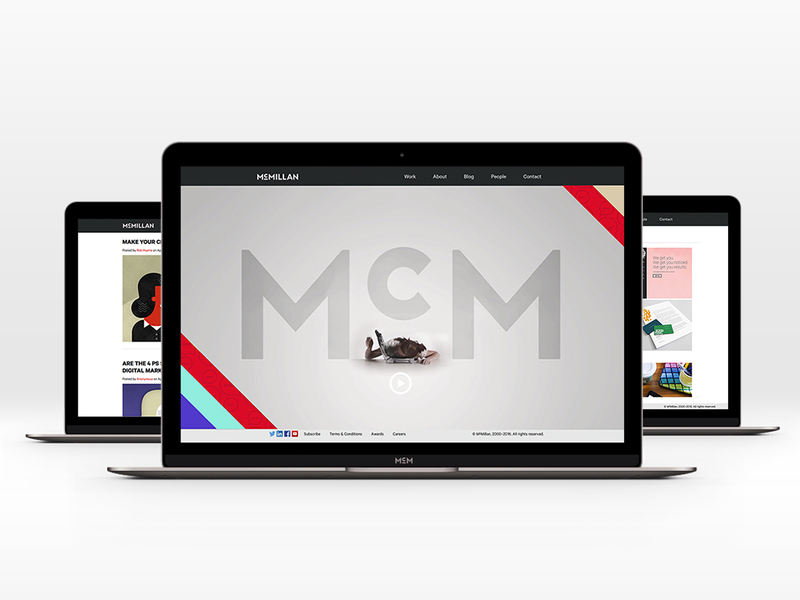 How would you describe the new brand look and what it says about McMillan? There’s something special about McMillan. If you ever visit our office you’ll see a culture that’s an entity of its own. It’s confident, adaptive, stylish and multi-faceted. So, we set out to make the brand that spoke to this personality. Instead of creating a series of rules, we established a design framework. This framework gave us a space in which we could creatively explore our brand, pushing limits, while at the same time maintaining cohesion. It often comes in full throttle with pops of colour and patterns when we focus on us, but recedes back when showing our client’s work. 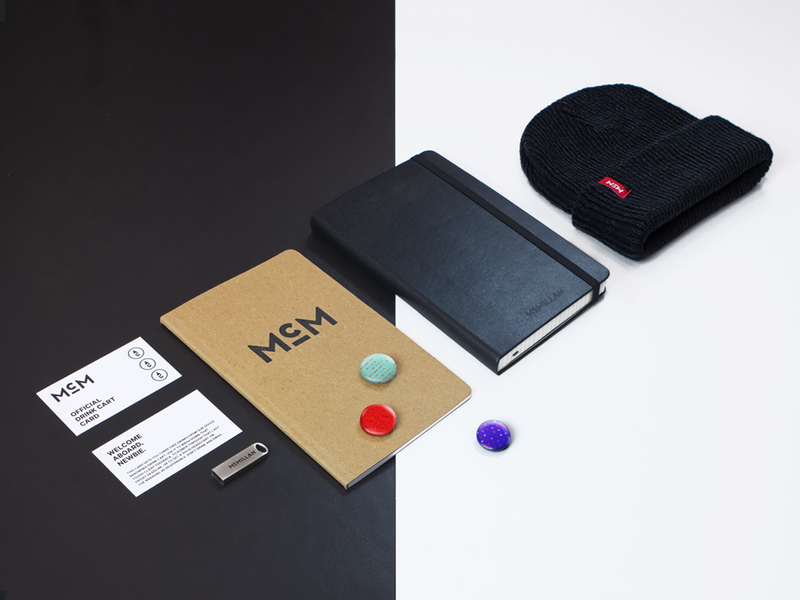 Part of our design framework allowed for two main ways our brand can be expressed. 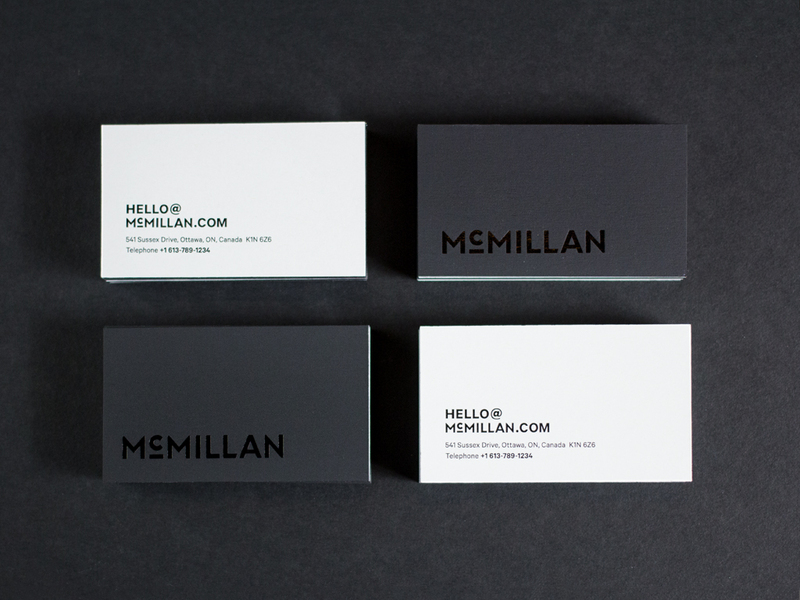 One expression of our wordmark, “McMillan”, conveys our corporate side as trusted advisor to our clients. It’s accomplished, sophisticated, and solid. 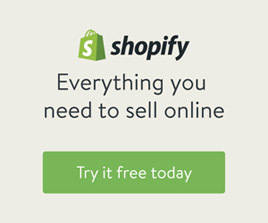 You’ll see this wordmark in mostly in black and white, with clean lines, and often with cues of minimalism in its design. 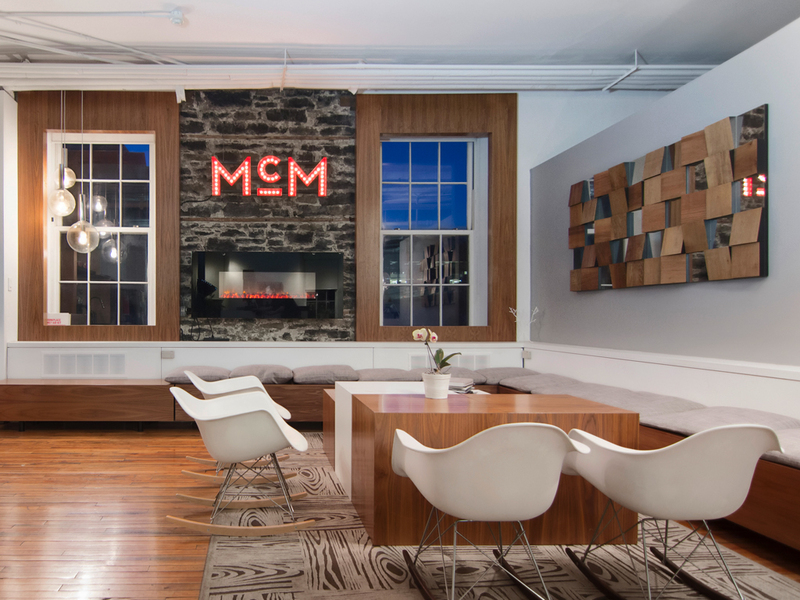 Another shortened expression of our wordmark is “McM”, which conveys a creative, and slightly precocious McMillan. It’s colourful, expressive, and playful. It features a thick line under the letter ‘c’ which we lovingly call the Launchpad, that communicates potential through a chameleonic nature… The options are limitless. The line under the “c” incidentally has an idiocyncratic history. Apparently, many generations back, part of our founder’s [Gordon McMillan’s] clan “MacMillan” changed to “McMillan” but added the underline to ensure everyone knew they were neither “Mc” nor “Mac”… or so the story goes. How does it compare and contrast to the old look? Our previous look was elegant and understated. 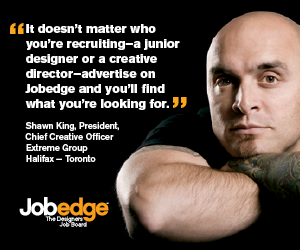 It tied into an early notion that we were a rather “Canadian” company who was out to make “our modest mark.” With a new aspiration to become the world’s most sought-after b2b creative agency, something with a little more moxy was needed. We ditched the light-weight italics on our wordmark, emboldened the typography, and brightened up our supporting colour palette, demonstrating the irrefutable sense we have of who we are and on which our responsible and our playful sides can roam. What can you tell us about the type/colour/style choices? For typeface: pre-existing, modified (and to what degree? 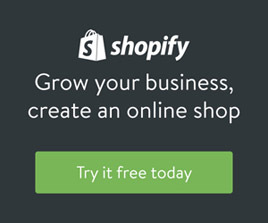 ), or custom? Type: Typeface that lives online as well as it does on paper was important to us, so we pressure-tested typography choices on both. The result are wordmarks based on a modified sans-serif font which is complemented by the Calibre Pro web and standard font families. Style and colour: We carried through the idea of a dichotomy as a subtle guiding principle in the brand choices: the timeless contrast of black and white, bold all caps headers supported by light weight body copy, content rich areas cushioned by breaths of whitespace. It can be a beautiful thing how opposites can look so good together. But what’s a creative agency without a little fun? Our supporting palette brings a pop of colour to the brand like a bright and lively red, and what we like to call Blurple. Is it blue? Is it purple? You’d be surprised how people would disagree! Why the shift to all caps? This really arose out of our aspiration and brand promise, which is to help our clients rise sbove the rest. It’s a bold statement and we believe all caps more emphatically presents this unapologetic promise than upper and lower.